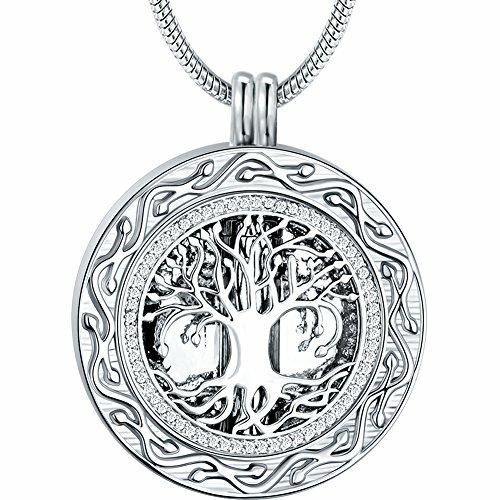 ♥BEST MOTHER’S DAY GIFTS♥ – The tree of life…relates to eternal life, which is a form of immortality or reincarnation. 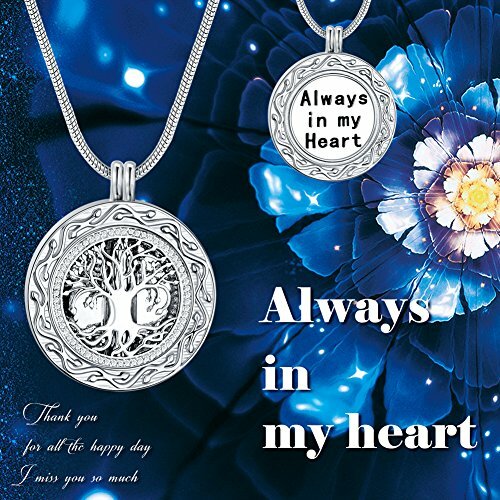 May this solid “Tree of Life” Urn Locket Necklace hold the memories of your loved one, keeping them close to your heart and bring you comfort. The necklace will be of fine enough quality to last as long as your love. 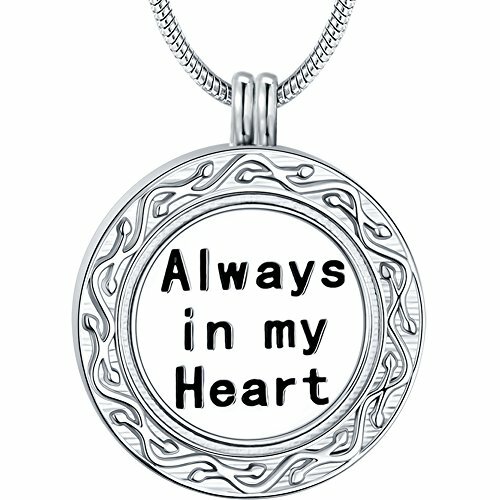 The engraved loving message “Always in My Heart” will not fade, with clearly visible. 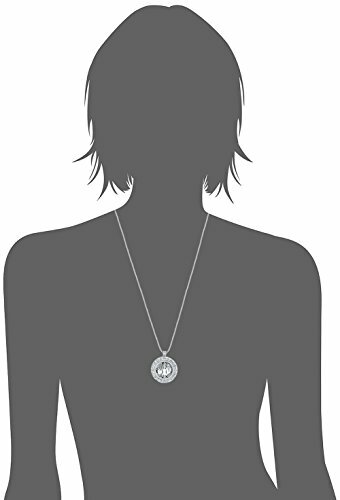 ♥PERFECT ELEGANT SIZE♥ – Polished to a brilliant shine, this graceful pendant measures 30.7 mm in diameter and suspends along a 20″ snake chain + 2” extender that secures with a spring ring clasp. This length works great for just about everyone, you can’t go wrong with this length. ♥KEEP BELOVED SAFE♥ – Ado Glo Jewelry prides ourselves on using only the finest craftsmanship for our designs. 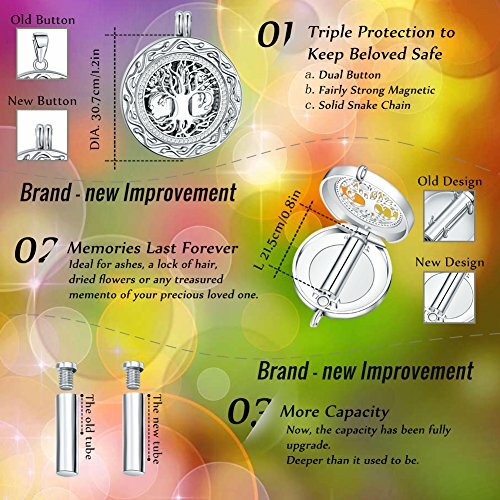 Our secure threaded screw of the solid container inside the locket keeps contents safe even with daily wear. Meticulously designed and quality made, our necklaces for ashes are of the highest quality and will allow you to cherish the memories of your loved one forever! Ideal for ashes, a lock of hair, dried flowers or any treasured memento of your precious loved one. Unless and until the love is expressed, the beloved will not know how special he/she is. Love is just a gift to humanity; to be loved makes everyone feels special. Let’s just go ahead, say it, express it in the best way we can, make it large, don’t let regrets be part of our life. As a timeless symbol of life, healing, and growth. It provides the breath of life. 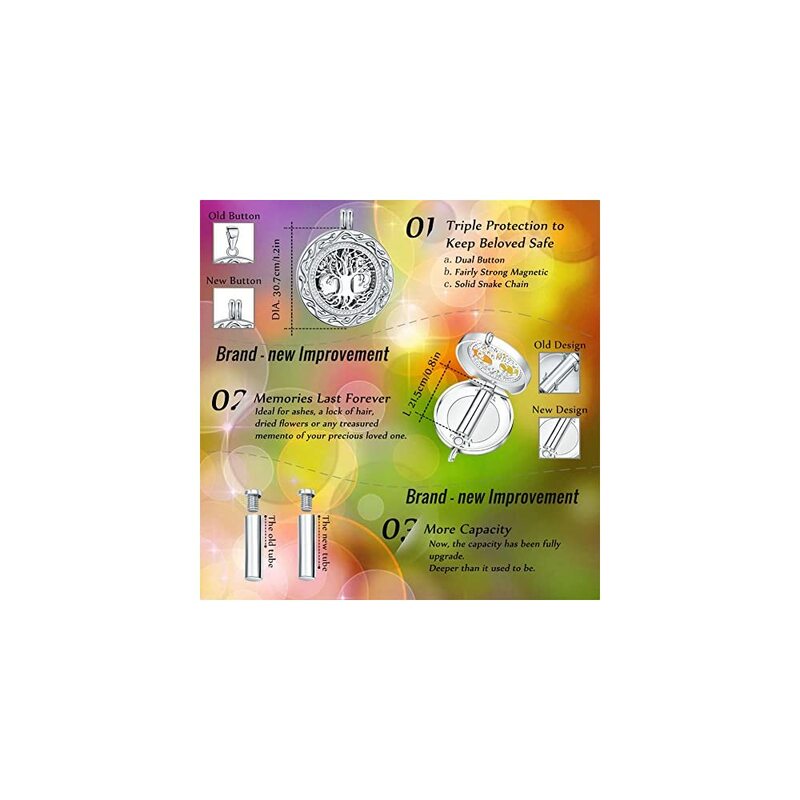 This breath is also represented by the spiritual nature of air, which is to “inspire”. The significance of the leaves of the tree have been through to be “healing” in its properties. 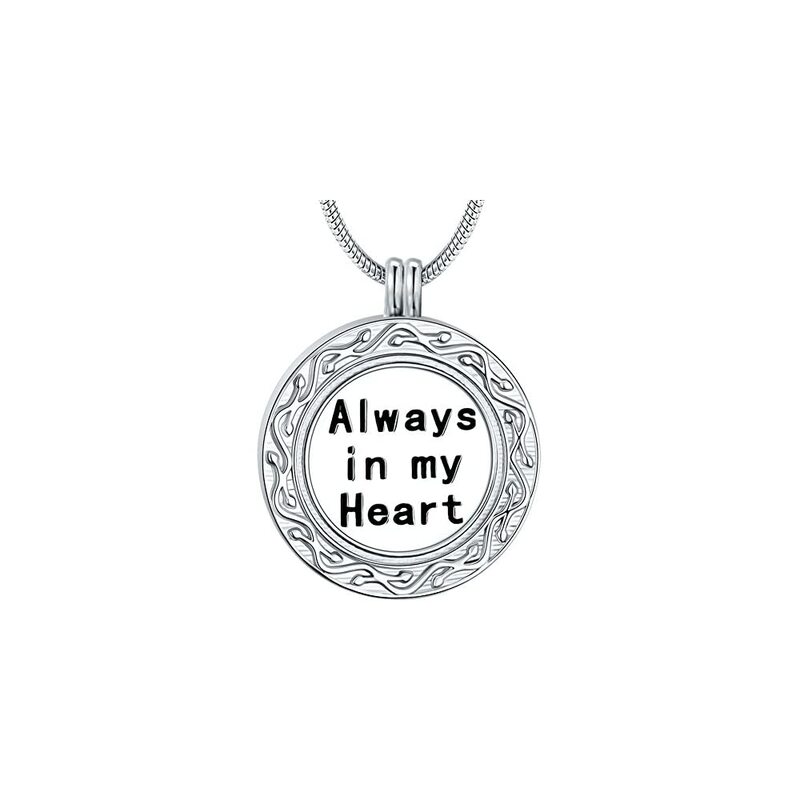 When you love someone dearly and they pass away, this “tree of life carved with Always in My Heart ” keepsake is a nice place to store some of your beloved’s ashes. We designed this necklace to bring you comfort and courage. Take the memories of your best Love with you no matter where you go. The inspirational necklace arrives in a jewelry gift box, ready for giving. Ado Glo Jewelry is committed to provide the best jewelry and the best customer services to our customers. Welcome to contact us if you have any questions. ♥INSPIRATIONAL GIFT♥ – If you want to offer a unique present to your family and friends, this is it! Wrapped and placed in a beautifully designed blue jewelry box with the idea in mind of … Something Blue: For Love, For Luck, For You, ready to be offered and make the best impression! Also comes with a tool for you to fill the memories in. A thoughtful present for family and friends on Christmas, Xmas, Birthday, Anniversary, Thanksgiving, New Year’s Day to cherish loved ones. ♥TRUSTED BRAND♥ – Ado Glo aims to provide unique luxurious quality and affordably-priced jewelry. With that said, we offer a 100% satisfaction guarantee because customer service is our #1 priority. Make sure you have Add this item to your Wish List to keep an eye on the latest Ado Glo Jewelry offers and promotions. I would love to own this knowing that your loved ones are always with you. Beautiful design and a lovely piece of jewellery. I do not personally own this but I know someone that does. It is very pretty and they love theirs. They love having their loved ones ashes next to their heart and she says it helps her during the rough times, just kind of gives her some peace and comfort. 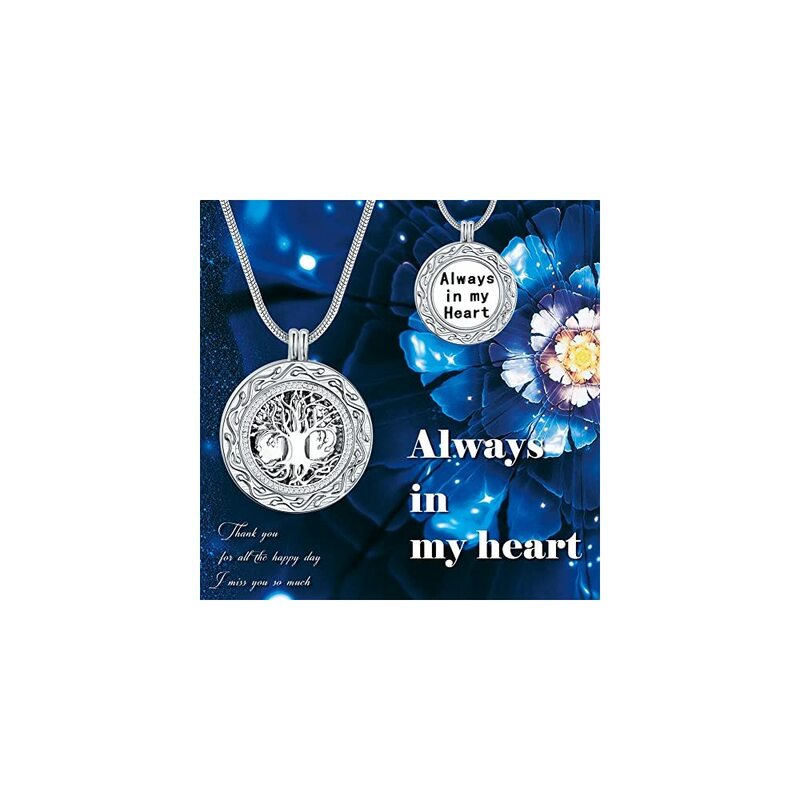 Could you hold ashes from a cremated pet in this locket? Beautiful necklace with a heartfelt sentiment. Love it!